I love this tart! It’s easy, simple and delicious. And did I mention it’s vegetarian? 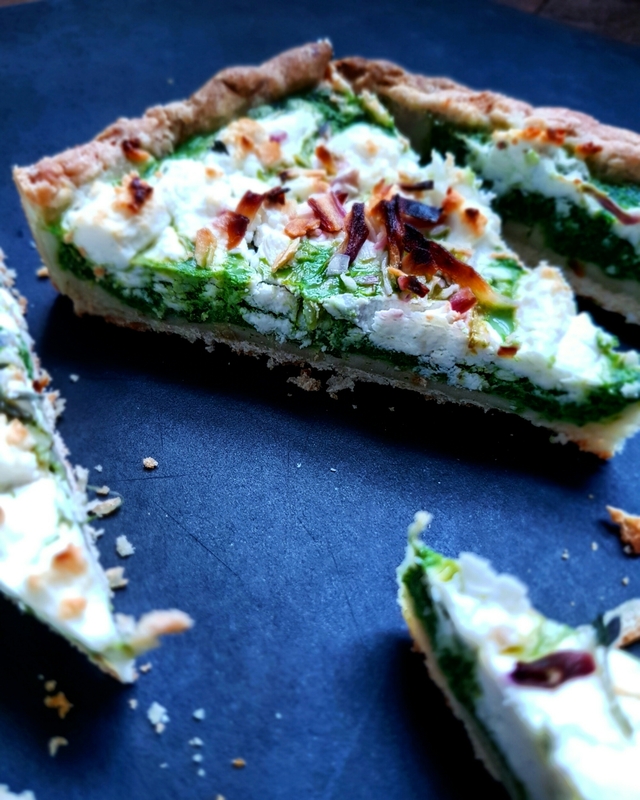 I’ll be honest, I was skeptical of my 6 year old son liking this tart due to the ‘green spinach’ layer under all that goat cheese but he devoured it for dinner alongside a vegetable soup. Yay! It’s relatively easy if you follow my steps below and the pastry is quick and you can press it into the tart pan without having to fuss about rolling it out. 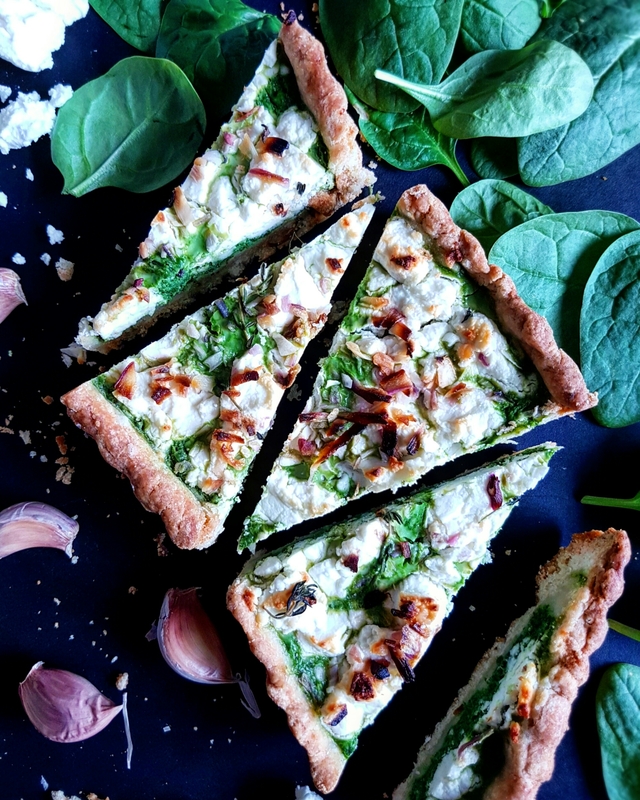 Easy peasy weeknight dinner sorted, great for meatless Mondays! It’s the perfect main course served with a nice side salad or sliced into small squares or wedges and served as appetizers. 1. Combine all the ingredients into a small food processor and pulse into a dough has formed. 2. 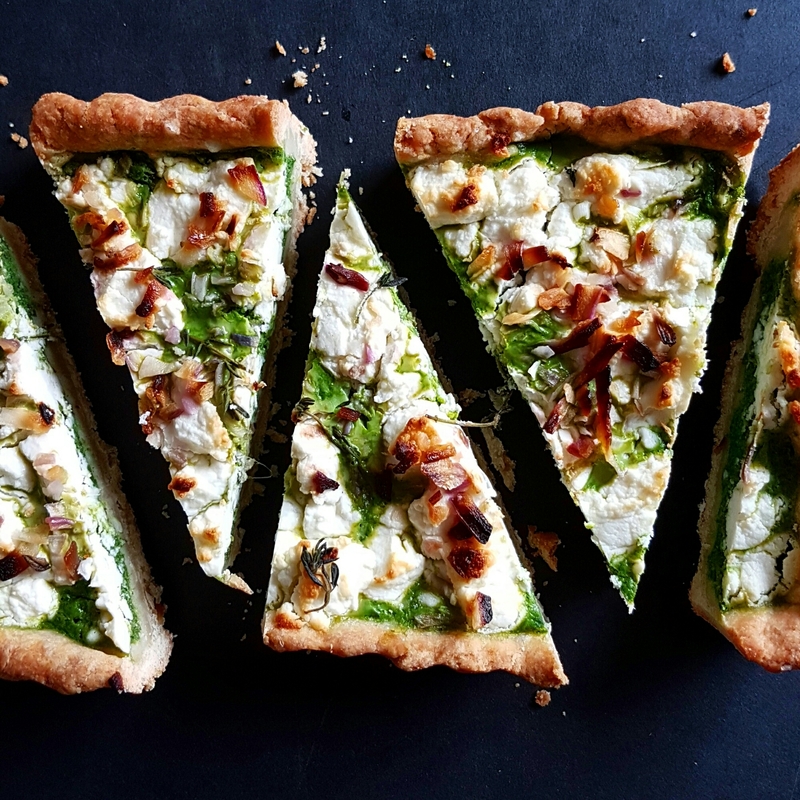 Roll onto a flour surface or press the dough into a tart pan with a removable bottom. Set aside. 1. In a small food processor, add the spinach, garlic, egg and cream. Pulse until the spinach breaks down and the egg is combined. Add the salt, pepper and fresh thyme. 2. Pour the filling into the prepared crust and smooth evenly. 3. 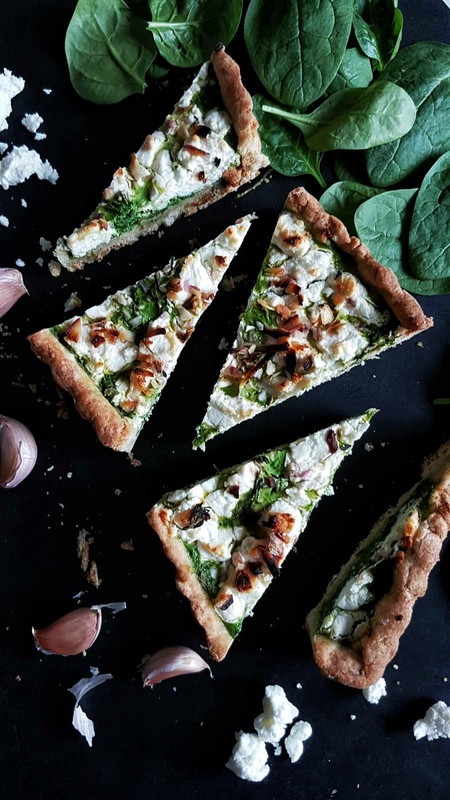 Crumble the goat cheese over top the filling covering completely. 4. Bake for 30 minutes. 5. Remove and let cool 15 minute before cutting. 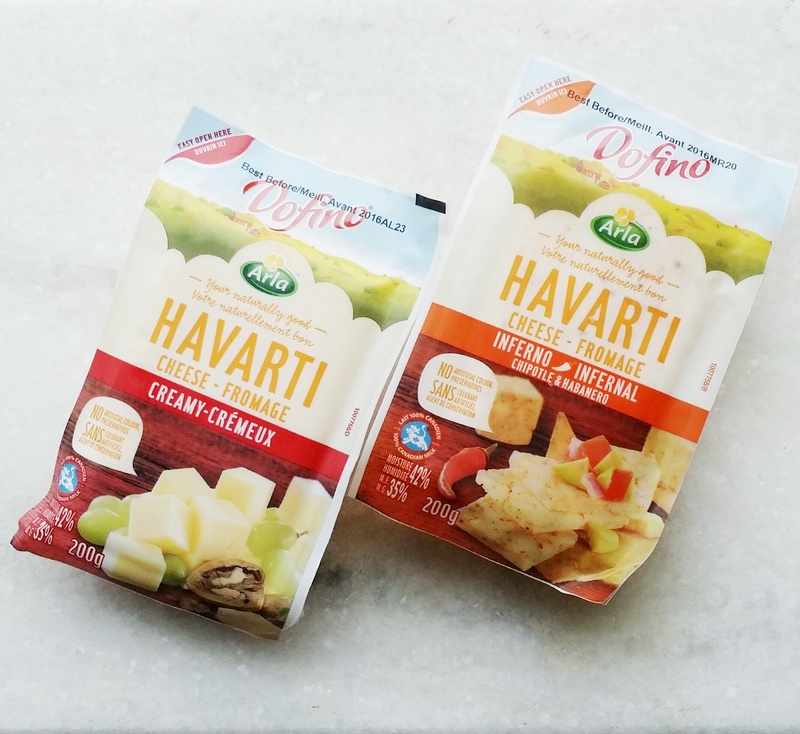 The lovely folks at Arla Dofino contacted me to create a delicious holiday recipe and how could I refuse given its for one of my favorite cheeses, Havarti! I decided to go with a classic appetizer that’s easy to eat and fun to serve! I tried the Havarti Inferno Cheese with Chipotle and Habanero. If you follow my posts on Instagram, then you know my love of spice. 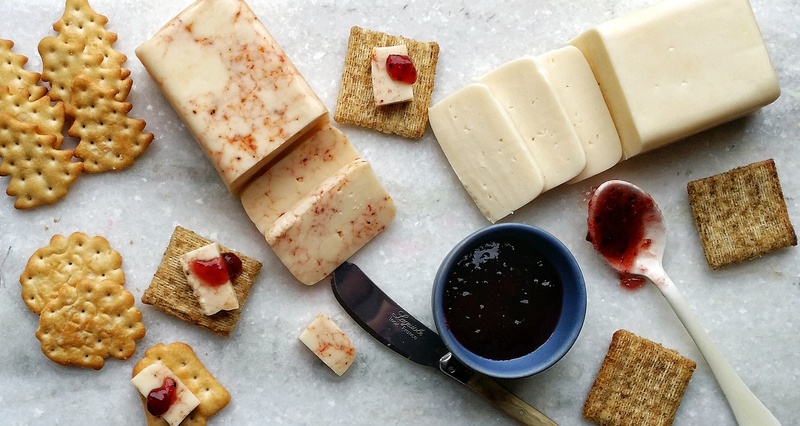 This cheese is the perfect balance of creamy and delicious with a kick of heat! Yum! 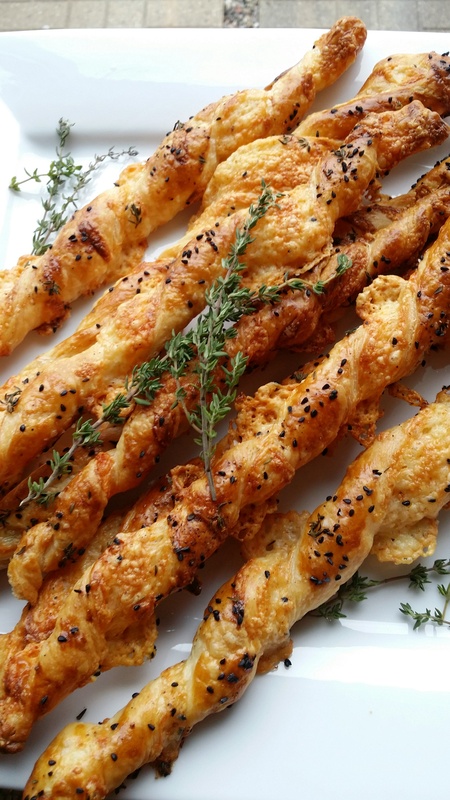 Puff pastry is easy entertaining and you can have these Havarti Cheese twists ready in no time. In addition to the cheese, I also added my favourite fresh herb, thyme and my current favourite spice, nigella seeds. Nigella seeds are a mysterious spice with a crunchy texture and with a flavour of toasted onions. They’re often used in Indian cooking and adorn the tops of flatbreads such as naan. 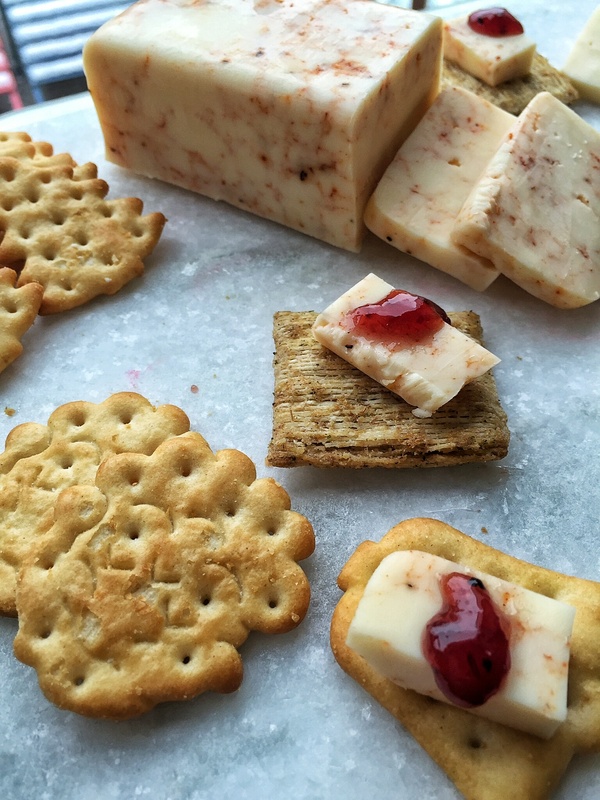 If you cannot find them, you can leave them out and replace with black sesame seeds, but they’re well worth getting and really highlight the flavour profile of these cheeses. 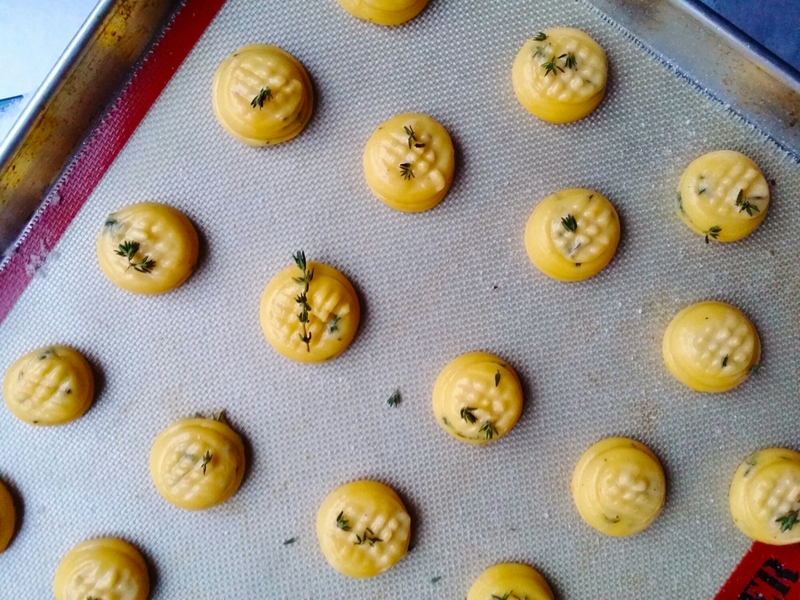 Preheat the oven at 425°F and line 2 baking sheets with parchment or silpat mats. 1. 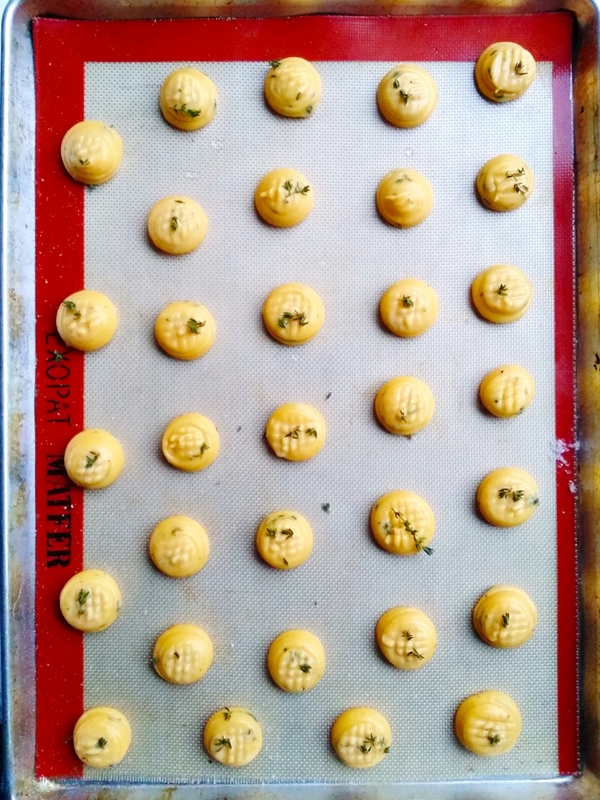 On a dusted surface, roll out 1 sheet of puff pastry at a time and brush with egg wash.
3. Sprinkle the fresh thyme, salt and pepper on top of the cheese. 4. 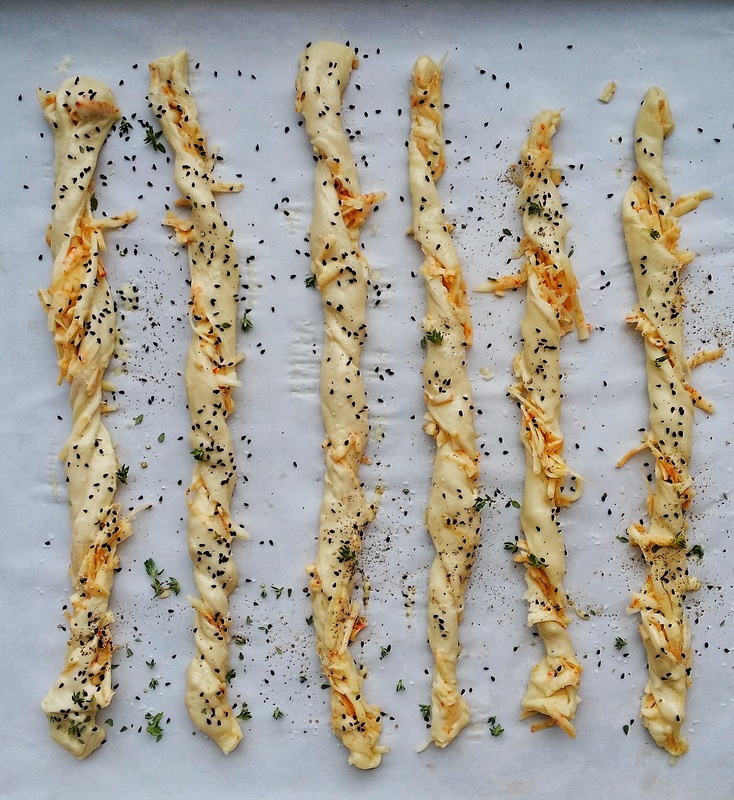 With a sharp knife or kitchen scissors, cut 12 puff pastry strips. 5. Roll each strip gently starting from the top and overlapping to create a spiraled strip. Place on baking sheet and repeat with remaining strips. 6. 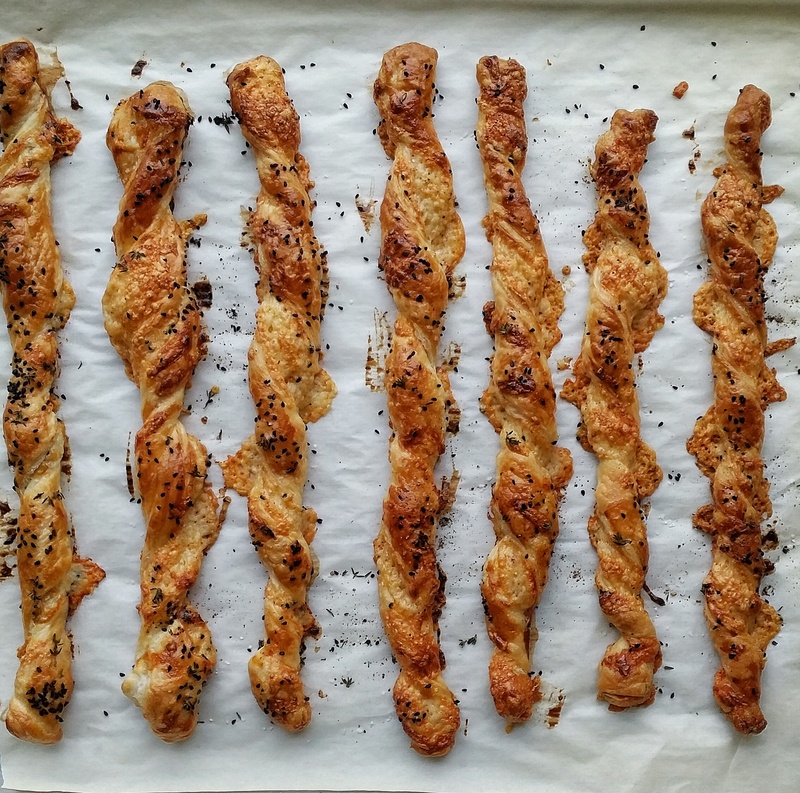 Once you have all of your twists ready, brush them gently with egg wash and sprinkle the nigella seeds over top. You can add more salt and pepper if you’d like. 7. Bake at 425°F for 15- 20 minutes until golden. Let cool before serving. Enjoy! 1. In a saucepan, combine milk, water and cubed butter. Combine and stir in salt and sugar – bring to a rolling boil. 6. Add in black and red pepper, thyme or rosemary and cheese. 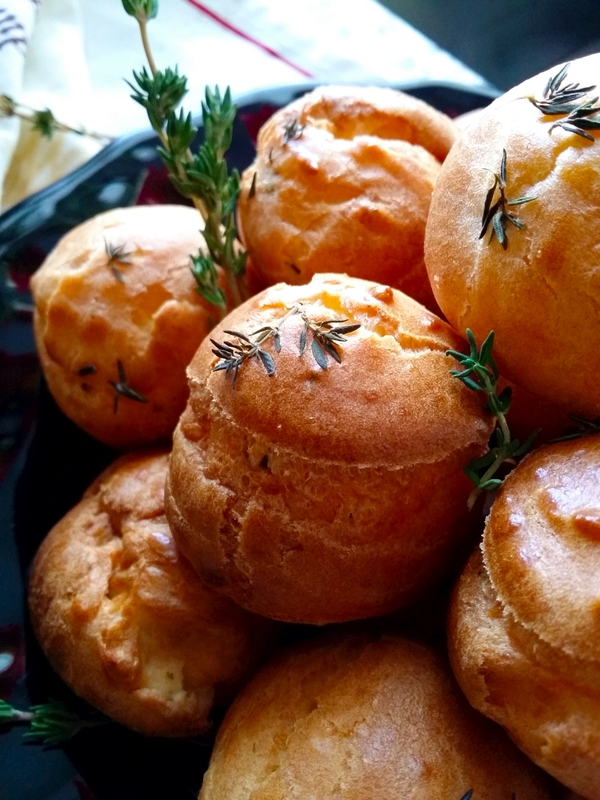 Brush with eggwash and slightly flatten tops with a fork – sprinkle tops with rosemary and sea salt. 8. 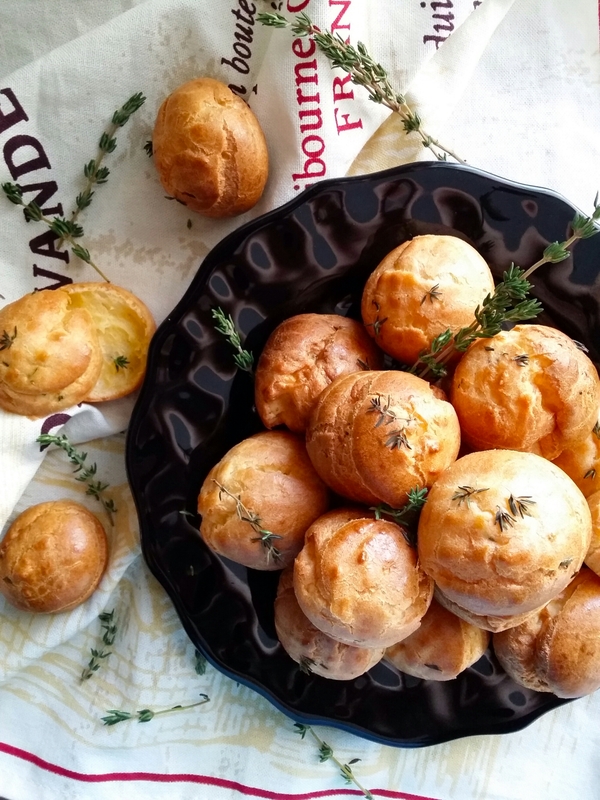 Bake for approx 25 – 30 min ~ until they have doubled and are golden brown. *can be filled or served warm as is. They also freeze well.